Living & dining area: marble, granite or teak timber strips. Bedrooms: teak timber flooring. Exclusive multi-millionaire residential enclave. 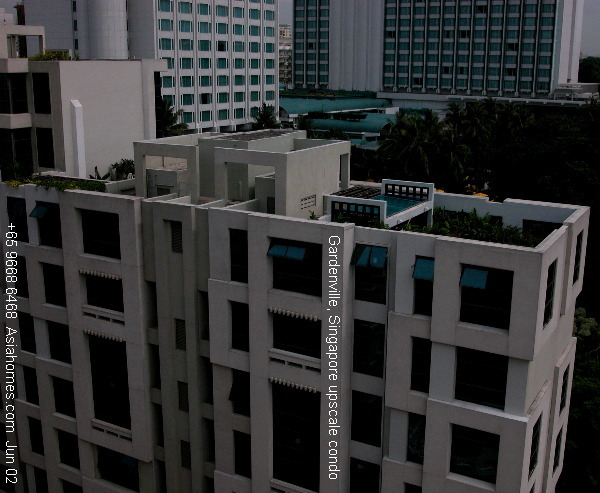 56 units, freehold north-south oriented apartments, no western sunlight. Penthouse may have roof gardens (wooden slats). Interior spaces designed by Wilson & Associates, one of top 3 names in the world in excellence in interior design. a 5-time winner of the prestigious American Hotel and Motel Association's Gold Key Award. 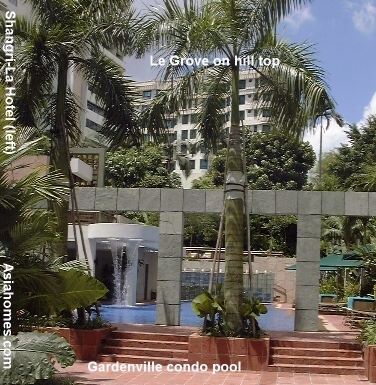 in 2002 for its Gardenville condominium. This is equivalent to the "Oscar" in the construction industry. 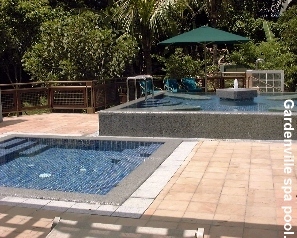 Gym, changing rooms, steam room, tennis court (hard court), children's play area, quiet garden area with furniture, 2 BBQ pits. 2 adult warm spas. 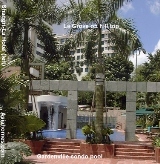 Upscale and high quality finishes and exclusive prestigious neighbourhood. 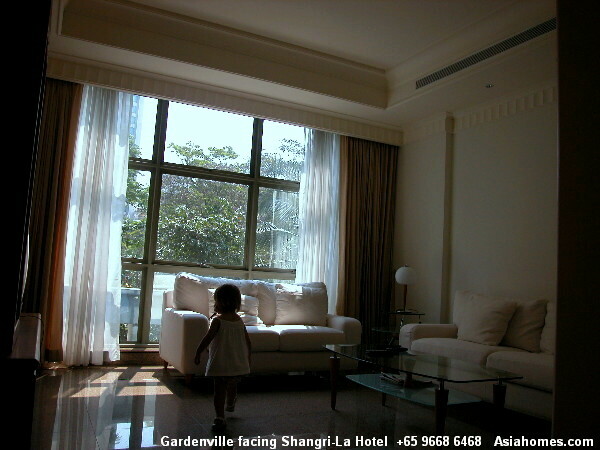 Close to downtown Orchard Road. Kitchen cabinets, double bowl, single drainer sink. Jacuzzi bath for all master bedrooms. Frame-less tempered glass shower screen to shower cubicle of master bathroom. Concealed ducting air conditioning system to the living, dining, bedrooms and kitchen to dining area. Automatic barrier gate system for main entrance/exit. Just flash your card and you need not wind down the car windows or insert cards. Tighter security with card access system for lst storey lift lobbies, lifts and apartment main doors. Close-circuit TV system including pan-tilt-zoom cameras provided for the lst storey lift lobbies and common areas including swimming pool area. Audio-visual intercom system to screen your guests. 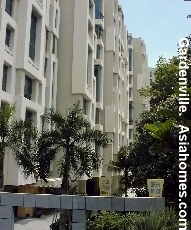 Gardenville has been designed by world-renowned and award-winning Wilson & Associates. 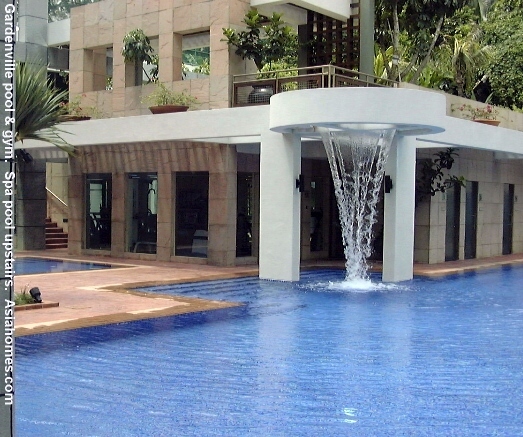 The tropical resort feeling evoked by the deep blue pool with sounds of water falling down. The gym is inside the building, ground floor, to the left of the water fall. Above the gym, are the 2 adult spa pools. The 2 spa pools for adults above the main pool. A sunning deck for Caucasian expats above the pool provides great privacy and peace. BBQ pits and entertainment of guests in the cool breezy evenings. Owners have 3 choices of flooring. 1. Creme Marfil marble slabs. 2. Gold Leaf granite slabs. In general, you may see the polished marble, granite, timber to living, dining and entrance foyer. Lime teak timber stripped flooring with clear matt polyurethane varnish to the family area, master bedroom and staircase. Wardrobes to all bedrooms including the guest room. Vanity counter at dresser for the master bedroom. Cornices for all rooms except yard, W.C and utility. Coffer Ceiling to the living, dining, family and master bedroom. Digital dimmer device for all coffer ceilings. Electronic safe built into the master bedroom wardrobe. Dresser counter of granite top with undercounter basin and taps in the master bedroom. Master bathroom finishes comprise "Verdi Alpi" marble wall and black "Nero Absoluto" granite flooring and vanity top. Hair dryer with shaver base to master bathroom. Shower cubicle in the master bathroom with frame-less tempered glass shower. Jacuzzi spa bath to the master bathroom. "Villeroy and Boch" pedestal sanitary wares to all bathrooms and powder rooms. Gold/chrome taps & bathroom accessories to the master bedroom. "Ariston" water heaters to all bathrooms and kitchens. Piped gas from Power Supply - no need to get cylinder gas. "Elba" microwave oven in the dry kitchen. Double door refrigerator with ice & water dispenser. "Elba" conventional oven built into kitchen cabinet. "Elba" designer range stainless steel cooker hood and hob. Polished granite wall behind hob. Polished granite kitchen worktop in the dry kitchen. "Bosch" dishwasher built into the kitchen cabinet. Concealed carousel unit to maximise storage space in the kitchen. "Schock" double bowl/single drainer sink in white. Built-in waste collector inside the kitchen cabinet. "Elba" washing machine and "Elba" tumble dryer. Wet kitchen has homogenous tile worktop with cooker hob and stainless steel single bowl/single drainer sink designed for the use of the wok. Proximity card access system to the main vehicular entrances, lst storey lift lobby and lifts. One or two units are available. To prevent ethnic groups occupying one area as in the past, the HDB public housing scheme introduces the Ethnic Integration Limit. 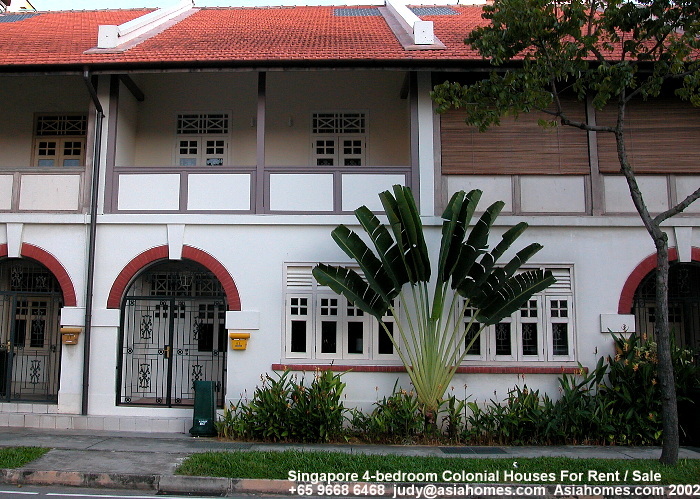 I was attending the HDB Residential Property lecture on April 11, 2011. Now there is an additional "Non-Malaysian PR" Group" compared to a few years ago. What does it mean? * The lecturer said that, for example, Mainland Chinese PR (Permanent Residents) will be considered in the 5% of the 84% quota for Chinese. He did not elaborate nor did any student ask him to clarify. What does 5% of the 84% mean? Is 5% of 84% = 4.2%? Or is it 84%-79% = 5% for Non-Malaysian PRs considered in the 84% Chinese Ethnic Group? 1. In the above, for example, a Chinese seller selling to a Chinese Buyer will not be subject to the ethnic proportion quota. 2. The latest update is at HDBInfoWeb. 3. Updates are on a monthly basis. 4. If in doubt, contact the HDB as there are so many new regulations being introduced making it hard for the realtor to be updated. My lecturer said: "Sometimes an HDB official will query you as to which HDB official you have got the information!" Sometimes, we as students, have the perception that the hard working and experienced lecturer is giving us incorrect HDB information! We can't blame him as the HDB rules and regulations keep changing frequently and interpretation is rather vague for most people. We hope we will pass the CEA examinations even with incorrect answers given by the lecturers!